It is common folklore among food bloggers that the best food are often found in ma-and-pop shops at little known alleyways. With the advance of social media, such gems are now easier to be discovered, thanks to snap-happy friends who upload and comment on every other thing under the sun. Most importantly, the menu is offered in both English and Chinese! That is very important for “banana” like me; yellow on the outside, white on the inside. Ordering dim sum has always been a challenge for me wherever I go in Hong Kong. 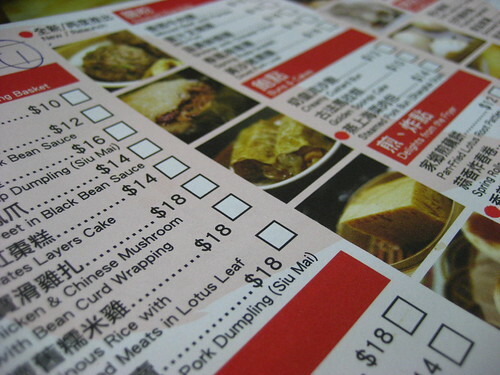 At Dim Sum Square, getting my favorite dishes is a breeze; just check the box and pass it to the passing wait staff. They will first present you with the bill (that’s rather common here) and then the dishes will start to arrive. 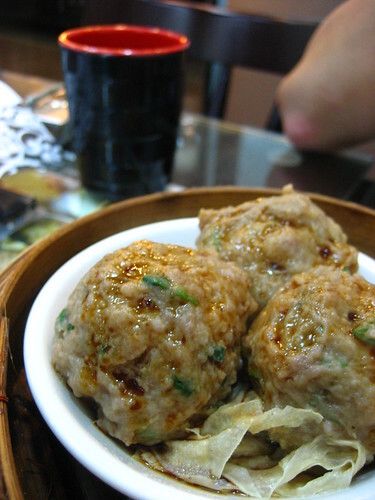 Beef meat ball (HK$10) is a must at Dim Sum Square. There are three in a basket (see how crazy the prices are? 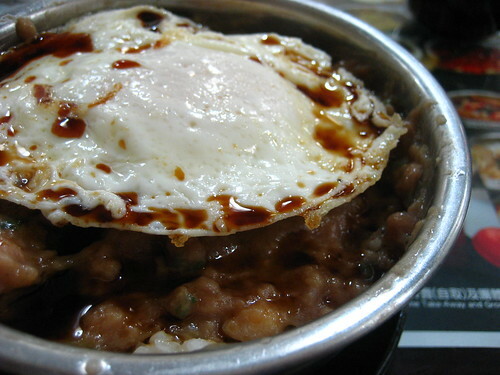 ), each a big ball of minced beef and other ingredients unknown, which only makes me wonder how they it so tasty. Just to the right degree of chewiness (read: you don’t feel like chewing rubber!) and spices in the whole chunk of meat. It is difficult to stop at just one. When I first come across the crispy BBQ pork bun (HK$12), I was delightfully surprised. 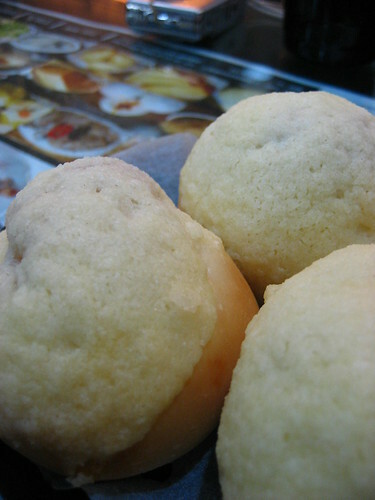 It is like… char siew bao only deep fried. Friends later told me that this is actually something common in Hong Kong (see how rather uninformed this novice food blogger is). The buns were piping on, with that layer of somewhat sweet crust on the top, and delicious BBQ pork within. Though sometimes the amount of BBQ pork inside differ, which goes to show they prepared the dish in house and not bought from some manufacturer. 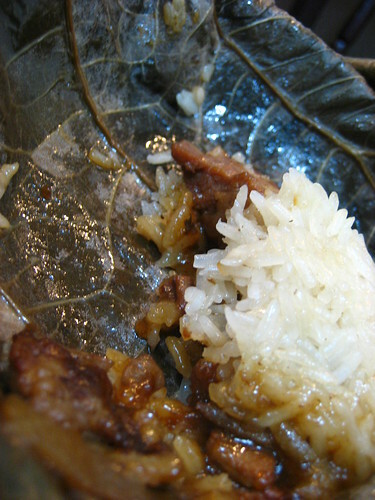 Glutinous rice with assorted meat in lotus leaf (HK$18) is not for those of you who are watching your calories. The glutinous rice was cooked just to the right degree of stickiness, when the chunks of rice seems to melt, rather than crumble, when you put them in your mouth. The marinated meat (I suspect it’s chicken rather than pork) was not too salty in itself, but with the whole combination wrapped and cooked in lotus leaf, this dish does feel rather… medicinal, for the lack of a better word. Probably not a good idea to eat this entirely on your own. Shared fat is shared joy, and all that. Another dish which I do not have a photo of but a must-try is the chicken & Chinese mushrooms in bean curd wrapping. On the various occasions when I visited with friends, this the unanimous favorite dish voted by every single one of them. Tender chicken, lovingly cooked with mushroom and the random pieces of (fake?) abalone, with firm bean curd wrapping. I couldn’t emphasise the last point enough. Nothing irritates me more than flimsy wrapping where everything tumbles out before you even lift your chopsticks. Other dishes worthy of mention include minced beef with fried egg rice pot (HK$18, pictured above, not exactly dim sum but delicious nonetheless), spareribs in black bean sauce (HK$12) and shrimp crystal dumplings (HK$14). With unlimited Chinese tea refill at HK$2 per pax and no service charge, a meal here invariably cost less than HK$50 per person. My only gripe about this place is the erratic pace dishes are served; sometime fast, sometime slow, sometime overlooked. Otherwise, it is highly recommended.